My fellow Mainers, you are hearing a lot of sound and fury from Augusta these days. But on one issue—the most important issue facing our state’s future—all we hear are crickets. 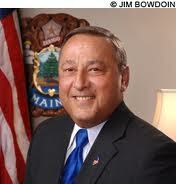 Hello, this is Governor LePage. I submitted a balanced budget proposal three months ago that sets priorities and lays out a fiscally responsible plan to right-size our government. The Democrats have been attacking my proposal every day. Even a former governor is on the attack. But these critics have yet to submit their own budget proposal. Folks, it has been three months. Beyond the sound of their petty criticism, all we hear is crickets. If they don’t like my common-sense approach to managing our finances and our future, that’s fine. But where are their budget proposals? Where are their solutions? My agenda focuses on long-term fiscal responsibility; paying our hospitals; putting students first; reforming our welfare system; and lowering energy costs for all Mainers. My proposal creates jobs; pays off old welfare debt; invests in infrastructure; and confronts the high cost of local control. This is not an easy budget proposal to make, and I take no pleasure in it. But, my fellow Mainers, we are in challenging and difficult times. Our state—and our nation—is facing an economic crisis. We must examine our all of our spending. We must scrutinize how we deliver services, and we must reform our overly generous welfare system. We must reduce the tax burden on Maine families, and we must pay our bills. These are difficult problems that demand tough choices, but we cannot keep ducking them. As a mayor, I faced these kinds of tough decisions. But I was still able to reduce taxes and to right-size local government without the loss of services to our citizens. It is very difficult, and it takes courage. But it can be done. Unfortunately, the majority of Democrats don’t want to make these tough decisions. They want to continue business as usual. It is much easier to say “yes” to everyone than “no” to someone. They want to raise your taxes to keep growing government, and they want to believe empty promises from Washington, D.C. to keep expanding welfare. They want to take money out of the classroom to benefit the adults in our educational system. Even worse, they want to keep stacking debt on your children’s shoulders to pay for this government expansion. Instead of making the tough decisions over the past three months, the Democrats told parents that their teens can’t get a tan. They attacked education reform, and they worked to allow drinking on a Sunday morning. They conspired to steal my pension, and they tried to sell the historic Blaine House. They want to repeal your tax cuts and raise your health-insurance costs. They want to deny Mainers right-to-work protections, and they want to force job-killing wage increases on our struggling businesses. It’s been three months, folks. I’m still waiting for their budget proposals. I’m still waiting to hear their solutions. It’s easy to criticize, and they are very good at it. But when it comes to their budget solutions, all I hear is crickets. My balanced budget proposal tackles the long-standing problems facing our state. We are one of the highest-taxed states, and our welfare system is too big and too expensive. Our energy costs are some of the highest in the nation, and we pay significantly more for education than the national average. Our local property taxes have increased 123% since 1992, while state government spending has increased by 89% since then. Mainers like home rule, but it is expensive. The state cannot continue to subsidize the costly duplication and redundancy of services in our largest communities. Democrats don’t like my proposed revenue sharing cuts, and that’s okay with me. But it is not okay for them to stonewall the Maine people. They hope to spring their budget on Mainers at the last minute without any public discussion, and they will demand an enormous tax increase to pay for it. If they have proposals, they should share them with me and with Mainers. We all want to know how they will pay for more government expansion. But where will the money come from?